I hated Crazy Rich Asians as much as I loved it. Admittedly, I am not a rom com guy. On the list of movie genres that I would choose my favorite movies from, rom coms would be at the end of that list somewhere above Will Ferrell movies, musicals and spaghetti westerns. That said, read this brief review of Crazy Rich Asians with that in mind. Despite being invested in the first Hollywood film that features an all-Asian cast since 1993’s Joy Luck Club and really really wanting to like the film, I disliked Crazy Rich Asians. The film had a lot of things going for it, but in the end felt uneven. First let’s talk about the things I loved about the film. There was certainly dazzling scenery and had comedic moments that gave us a scent of what could have been. The vast majority of those comedic moments were provided by Akwafina, who stole every scene she was in — similarly to her presence in Oceans 8. I also enjoyed that the film nodded to Asian culture in ways that may have not been noticed by non-Asian audiences. Okay, now what I hated about Crazy Rich Asians. My biggest problem with the film is that romance parts of the film felt manufactured whereas much of the comedy felt natural. Again, keep in mind my feelings toward rom coms. For me, I rarely connect with romance movies because I don’t feel invested nor do the romances feel real, and Crazy Rich Asians had that same issue. Unfortunately, that lack of connection was on Henry Golding. Not the fact that the mixed-race lead wasn’t “Asian enough” — whether it was the source material or otherwise, his portrayal of Nicholas Young was what I had a problem with. No doubt, Golding was effortlessly suave and debonair, but otherwise felt stiff the entire movie. Despite having the second-most screen time, Golding barely engaged and was as boring as the suits he wore in the film. Maybe he was supposed to be that boring? In any case, the situation wasn’t helped by the fact that he was paired with Constance Wu, who did a great job showing depth as Nick Young’s girlfriend Rachel Chu. No matter how attractive, or Asian, or that he checked off all the needs of the original source’s characteristics, I didn’t find Young believable as Chu’s partner and vice versa. 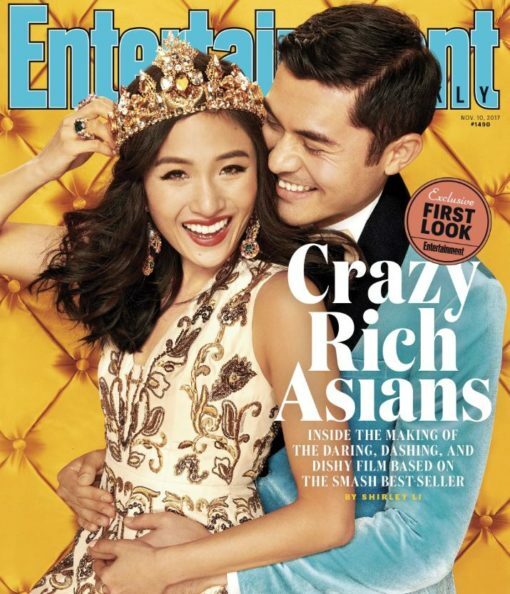 As been written about hundreds of times in reviews and articles leading up to the film, Crazy Rich Asians means a lot in terms of Asian representation and visibility. Despite not enjoying the film (hate), I accept and am overjoyed (love) that I am in the minority when it comes to how Crazy Rich Asians have been received by critics and audiences alike — scoring above 90% on Rotten Tomatoes. In short, I won’t go to rom coms anymore, but will attend / support Hollywood movies that feature all Asian casts.